My Ad Cubes Review – Is it a Scam or Legit? Todd Hirsch is the people behind this site. He has started his career in 2010 and struggled just like other internet marketers. The real success came in 2012 when he introduced many companies in the industry, but most of them are cycling systems. As per Todd, irrespective of industry you are in My Ad Cubes is a solution for you in terms of providing quality traffic for your business. The strength of an online business is quality traffic, and most of them struggled to achieve this. 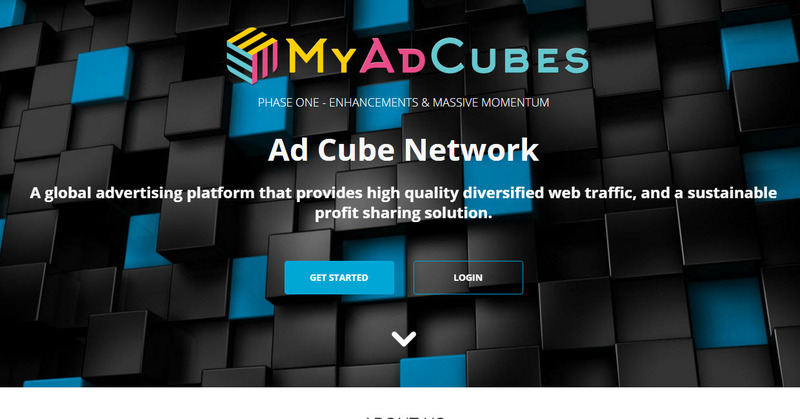 My Ad Cubes is a traffic generation platform designed to bring high quality leads to your website while providing a revenue sharing opportunity through the purchase and sale of ad credits known as ad cubes. How to Earn from My Ad Cubes? Cube Rebates – You can participate in the company’s profit if you don’t like recruiting other people. To do this, you need to buy Ad Cubes Traffic Packs, and this will give you advertising credits. Moreover, you need to surf daily ads to participate in revenue sharing opportunity. It includes a library of digital products and software for sale in the back office. Every sale you make within the marketplace earns you a high 15% instant commission. This marketplace is designed to enhance the revenue of the system and to make it more sustainable. As per my experience, these books are low-quality PLR products and such information can easily be found elsewhere on the internet. What is Gems Surfing System? Gems is a cryptocurrency, and it has integrated with the system. It is basically designed for free members and rewards them for spending their time in surfing different ads. 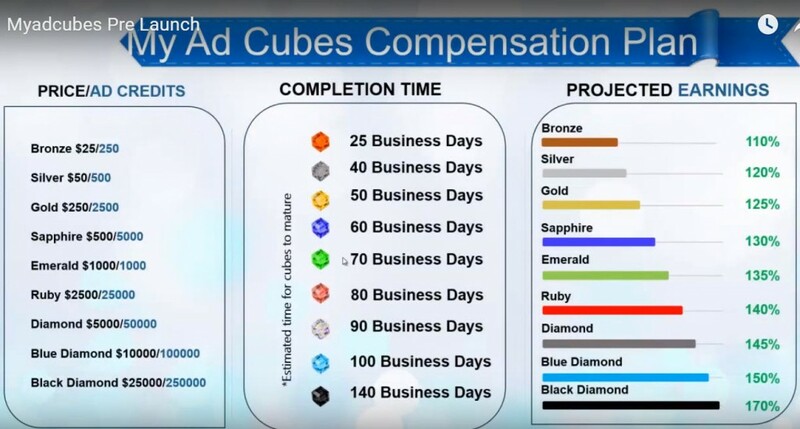 The company pay Gems (cryptocurrency) as well as ad credits. The company will also plan to promote Gems, which is powered by Gems Company, and it is currently traded on several market exchanges including Bittrex and Poloniex. Gems can easily be exchanged for any number of crypto coins such as Bitcoins, Litecoins, and others. The members also have the capacity to use the Gems app to earn extra tokens that can be redeemed for Gift cards at Amazon, Starbucks, Gamestop, E-bay, and i-Tunes. I have seen a lot of revenue share programs, and all of them have struggled because of cash flow problems. I think My Ad Cubes has tried to add different revenue streams in this systems and it looks like this will make it more stable than any other similar revenue sharing program. This is the biggest problem and the most common with such sites. Though they add some new features, I think if you look at the one by one then most of these products have very inferior quality. The traffic is not of such a quality that will convert into leads and sales. Most of the people who are the member of this program are those who like to participate in revenue sharing opportunity. They don’t like to go for another opportunity and their surfing mission is only for getting the daily commission. Digital marketplace is also comprised of low-quality products and software’s, and most of them can easily be found easily on the web. Cryptocurrency is also a good idea to integrate with this system but only the time will tell how much this can bring benefits to the company and its members. In short, Todd Hirsch has designed a lot of innovative work in his program. He has also been in this industry quite a lot of time and knows what are the issues in this industry. I think this is one of better revenue sharing programs out there as compared to others, but still there are a lot of gray areas that needs to be considered. As per my suggestion, I cannot recommend this site because it is new and there is still a lot of risks involved due to its sustainability. If you look at the business model, then there is a lot of similarity with Ponzi model unless it tries to produce quality products and services to its members that can generate constant inflow for the site. If you want to be part of such a site that is based on entirely legitimate product and has been around for more than 11 years, then see my #1 recommendation. It is not a site where you invest money and earn passive income but a training platform that will guide you each and everything about how to build a legitimate online business. Want to Create your Own Online Business? Alladswork Review – Is All Ads Work a Scam or Real? Mo Brabus review – An Outright Scam? Traffic Network Club Review – Legit or an Obvious Scam? Ads Division Review – Scam or Ponzi Revenue Share? Hi Everyone! Its great to talk with you, and I hope you enjoyed this post. My name is Yasir and I'm the owner of Online Earning Mentor. I started my first online business in 2014 from this site and now I help newbies to start their own businesses. Sign up for my #1 recommended training program and learn how to start your business for FREE!